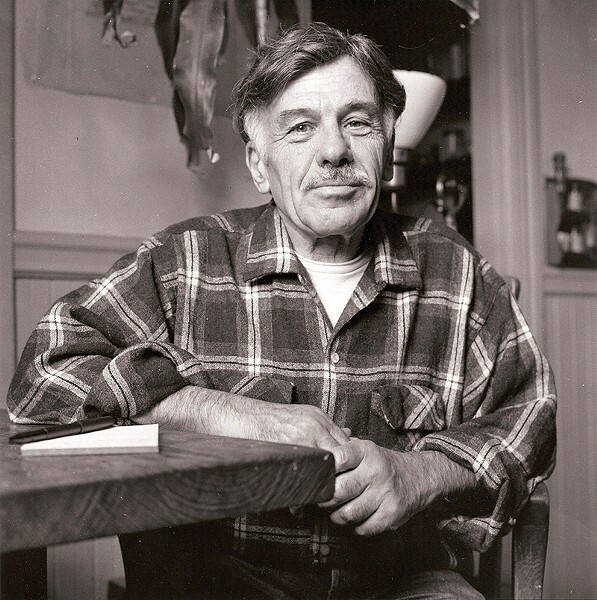 Poet Harold Norse never reached the fame of some of his contemporaries in the Beat Generation—and all his books are out of print—yet Norse's influence on the Bay Area's poetry scene is undeniable. Norse was born in Brooklyn in 1916 to a Russian Jewish immigrant single mother. He had a gift for language and was inspired by the likes of Walt Whitman and Ezra Pound. A part of the bohemian scene of New York's 1930s, he wrote poetry and rubbed shoulders with the likes of Tennessee Williams. But it wasn't until Norse traveled the world in the 1950s and questioned Joe McCarthy's America that he began to change the face of the poetic landscape in this country, developing an accessible, street-wise vernacular with political and sexual undertones. He settled in San Francisco in the early 1970s and was a fixture in the Bay Area until his death in 2009. Friend and editor Todd Swindell has collected a lifetime of Norse's poetry for the retrospective collection I Am Going to Fly Through Glass: Selected Poems of Harold Norse, and this weekend, celebrated San Francisco poets Neeli Cherkovski and A. D. Winans will join Swindell in Petaluma to read from the collection and talk about Norse's life and legacy. I Am Going to Fly Through Glass reading and poets panel takes place on Saturday, May 9, at Copperfield's Books, 140 Kentucky St., Petaluma. Free. RSVP for discount book. 1:30pm. 707.782.0228.